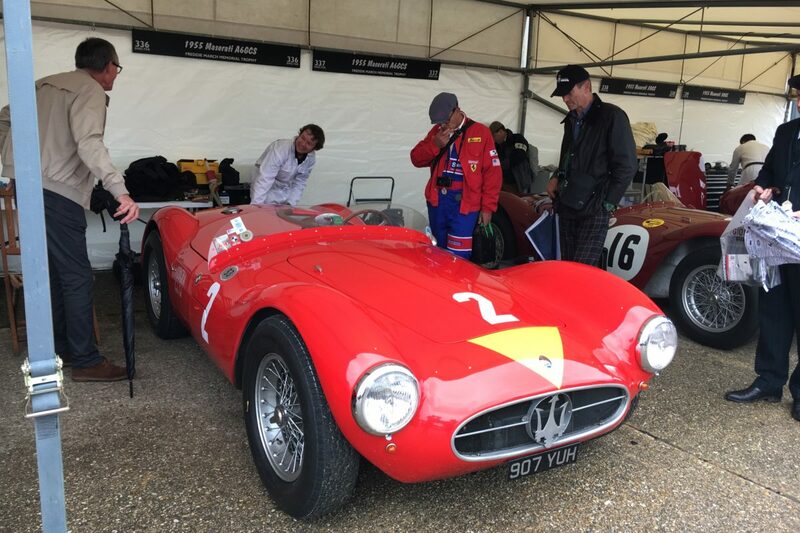 So late in our posting of our postcard, but such is life, always things to do, never enough time! 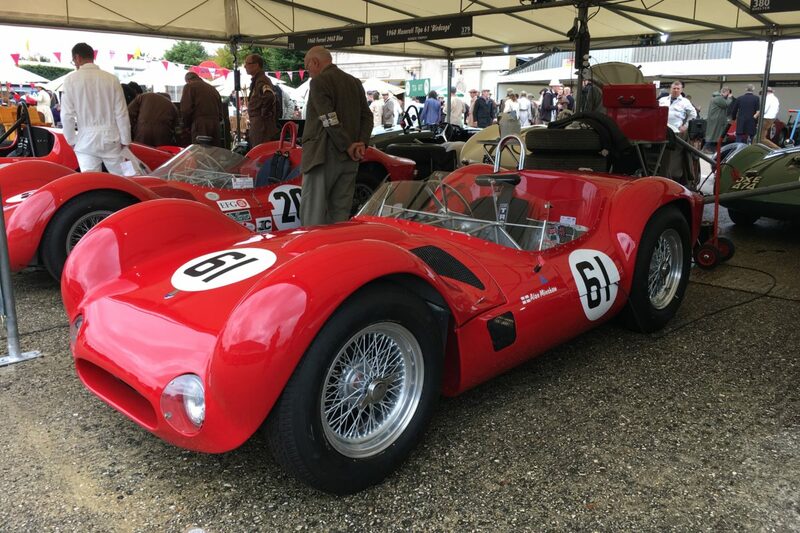 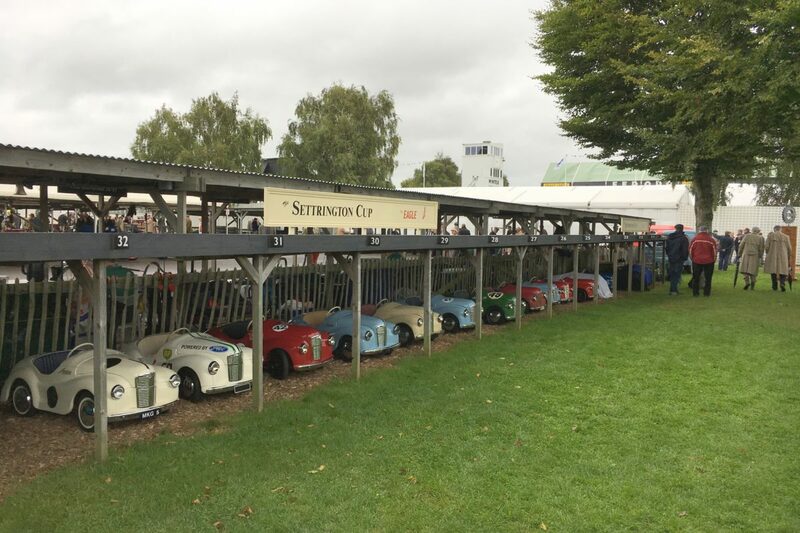 The Goodwood Revival is one of our favourite events of the year.  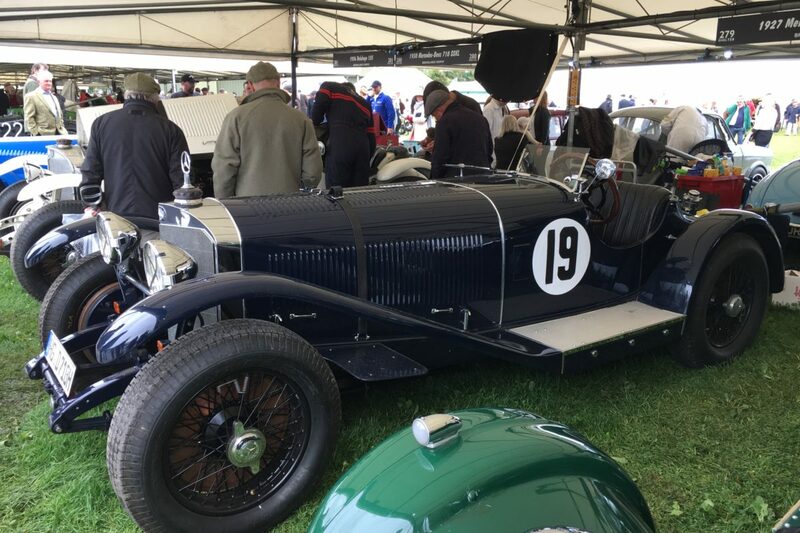 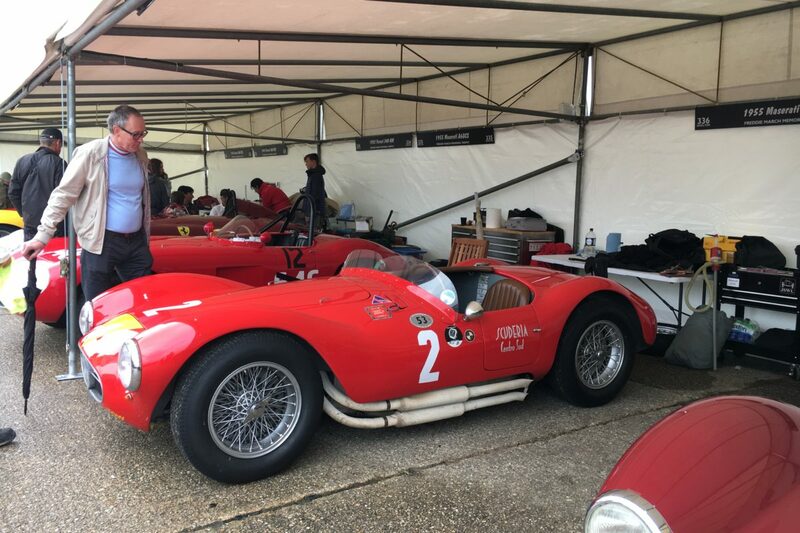 Held at Lord March’s historic racing circuit, it’s a rare celebration of classic motorsport, vintage vehicles, and a bygone era. 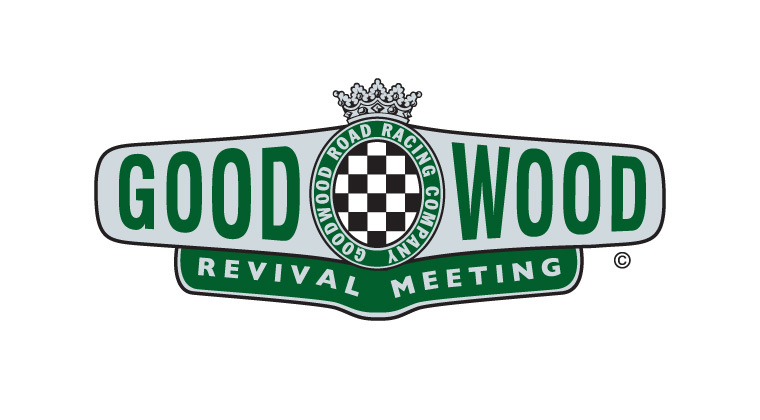 Attendees are encouraged to ‘dress up’ in period clothes from before the event’s 1966 cut-off point. 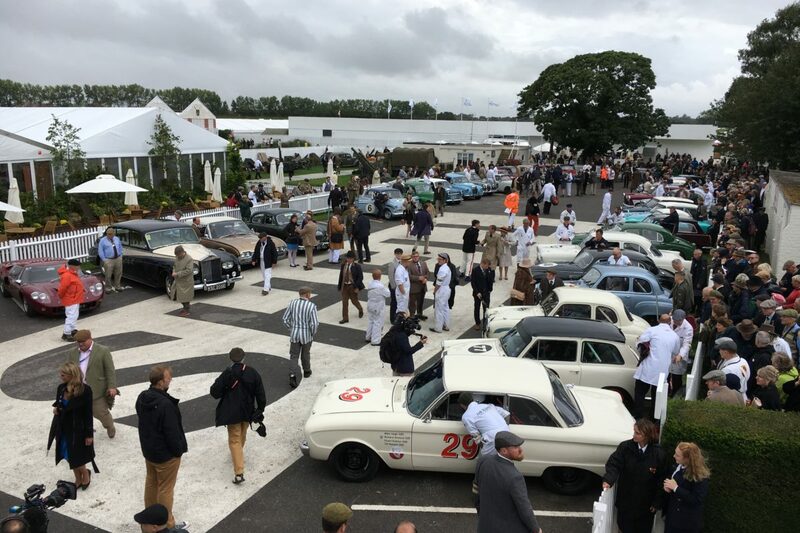 The result is a truly unique spectacle, with thousands of people wearing clothes from the same era (broadly) as the cars. 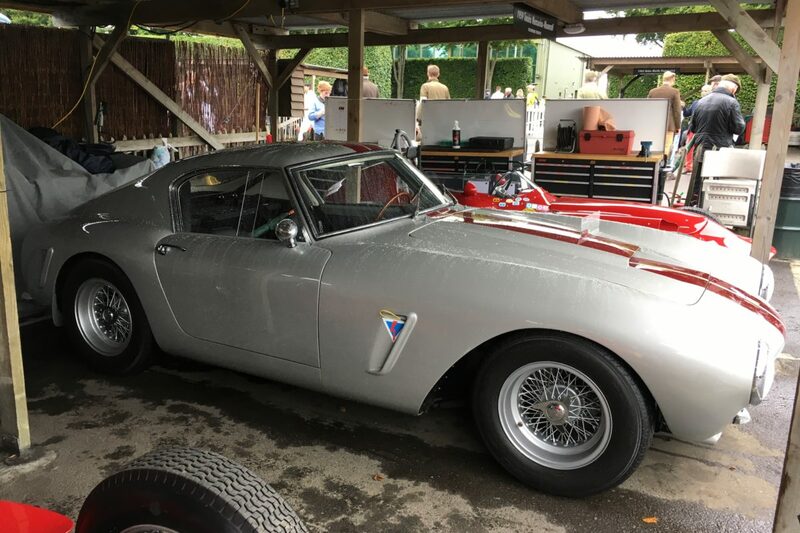 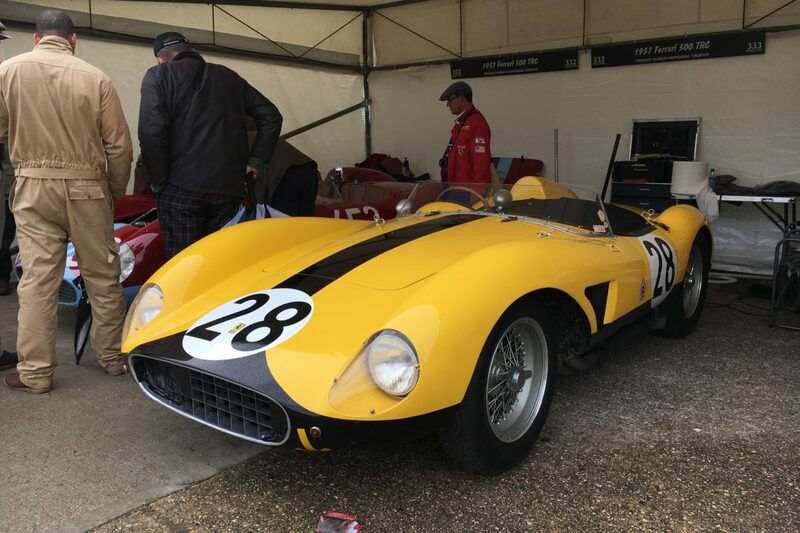 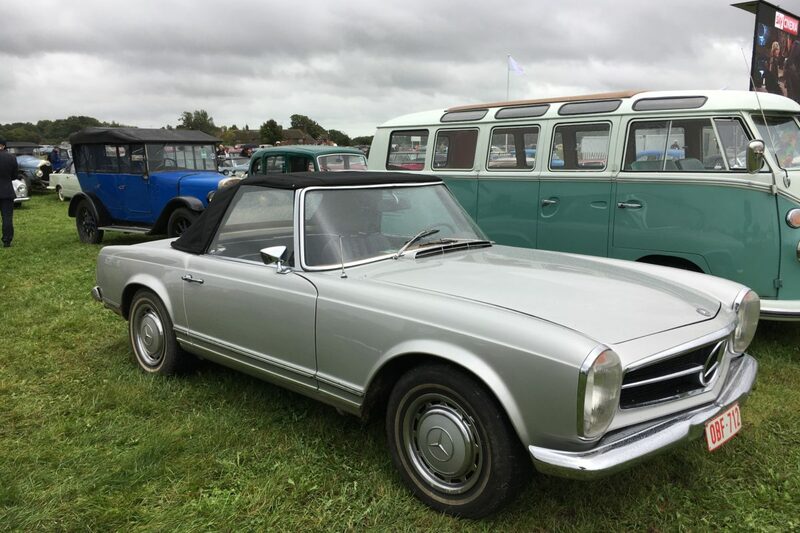 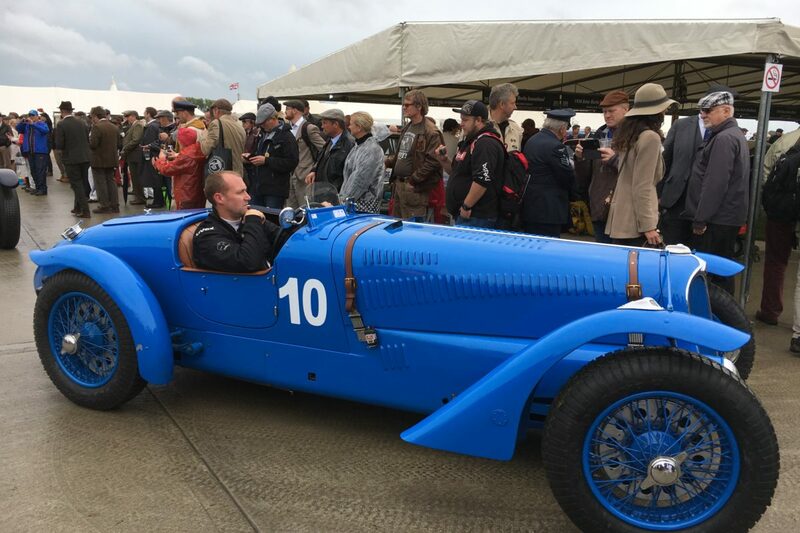 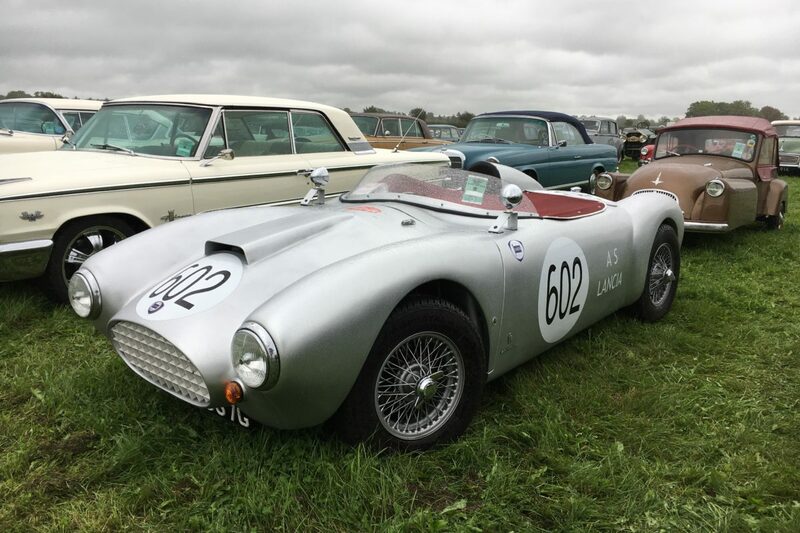 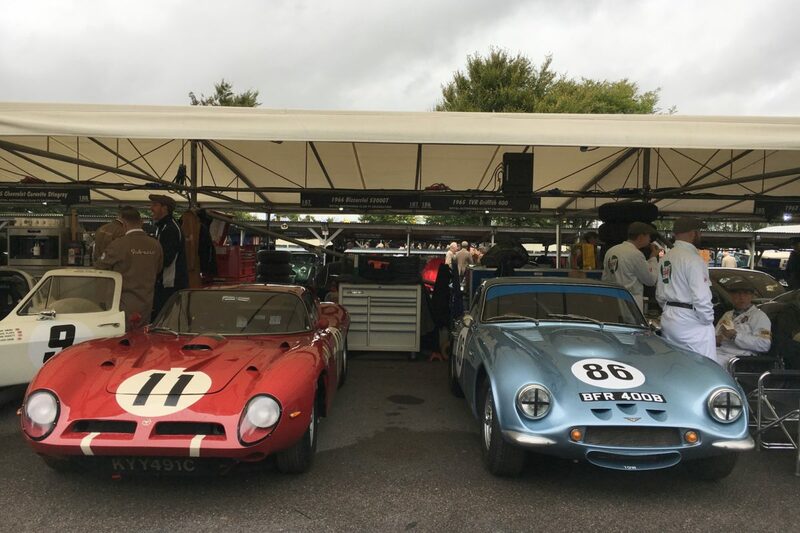 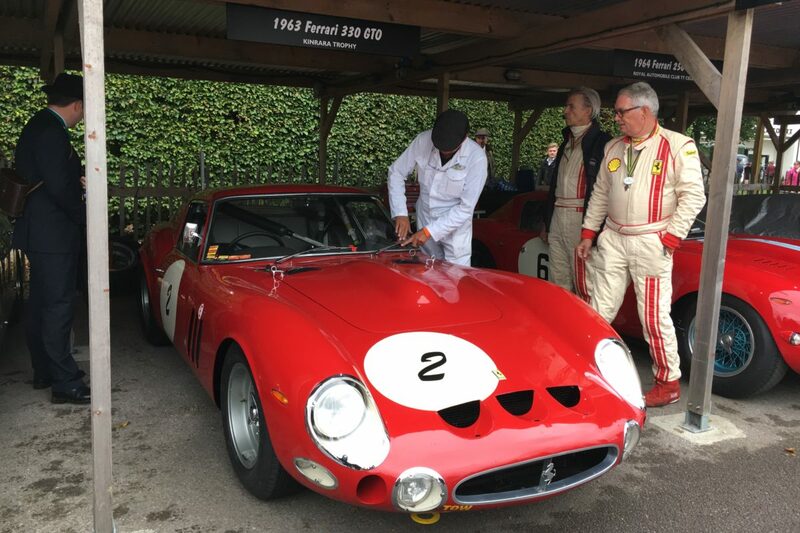 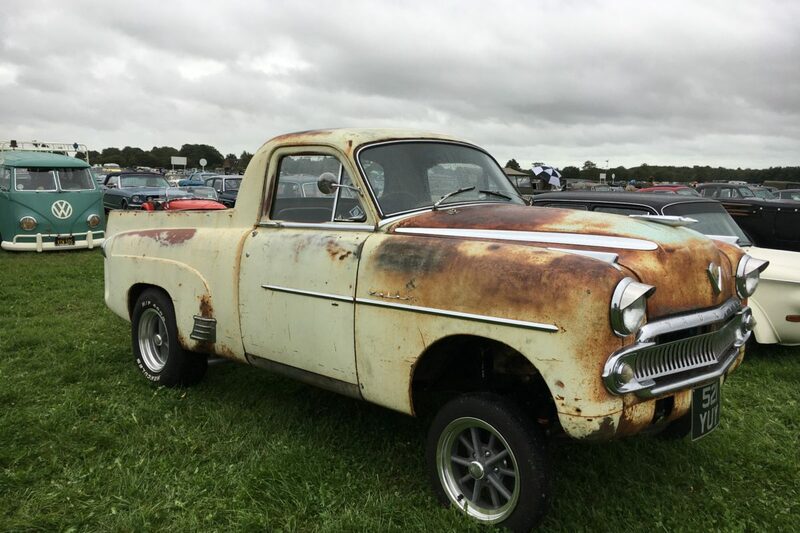 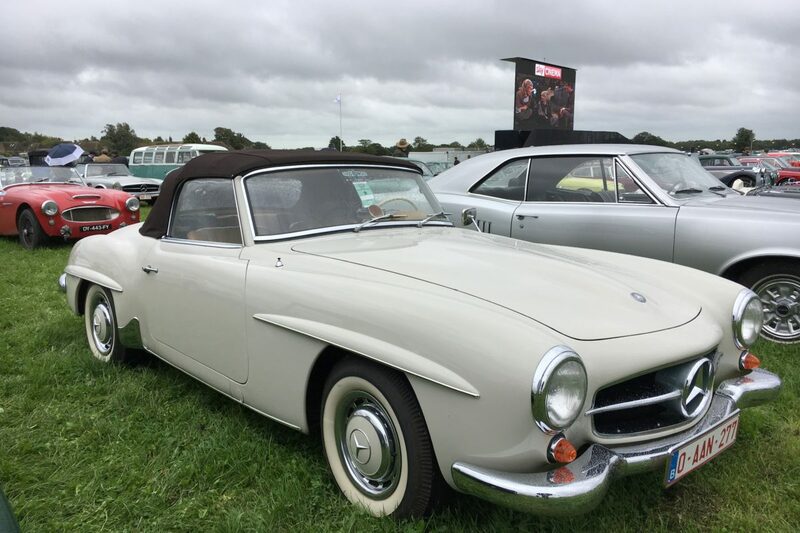 Over the years, when we’ve attended the Goodwood Revival we’ve been lucky to have good weather, but for this year’s 20th edition, not so, we were reminded that the annual event is really held in England at the start of autumn. 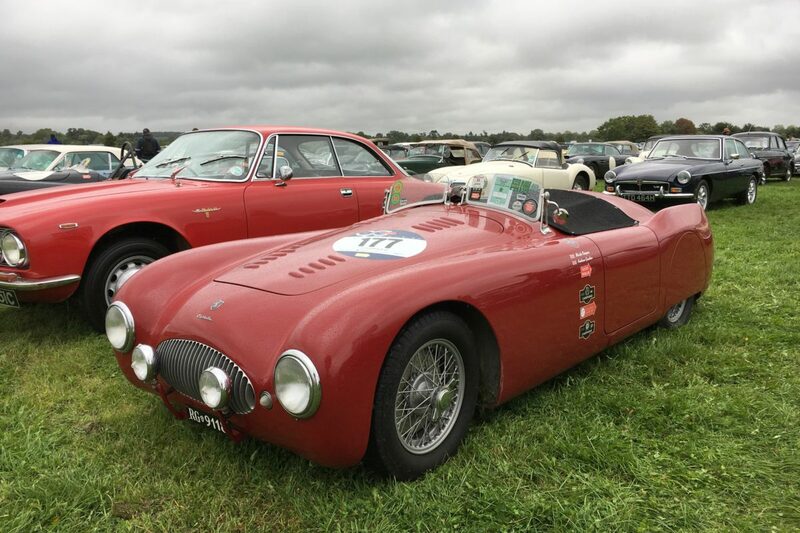 Despite heavy showers on all three days, the spirits were not dampened. 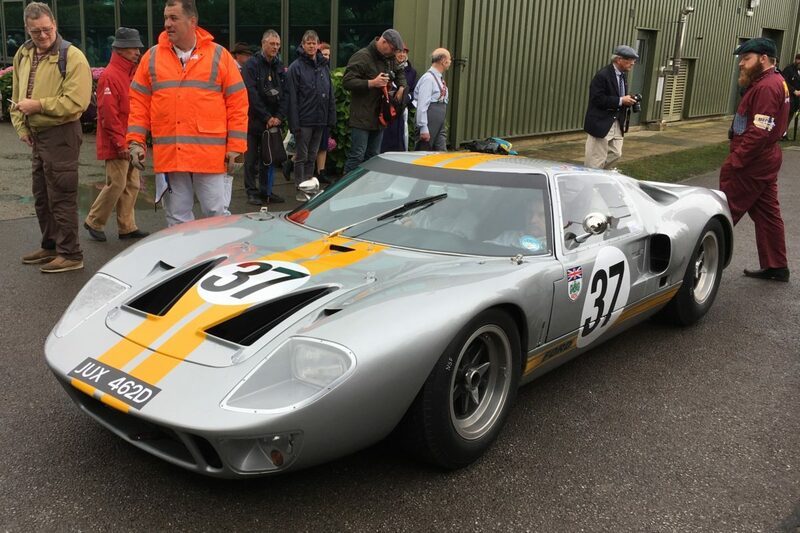 The virtually non-stop track activities included a pair of one-hour, two-driver races for 1960s GT cars. 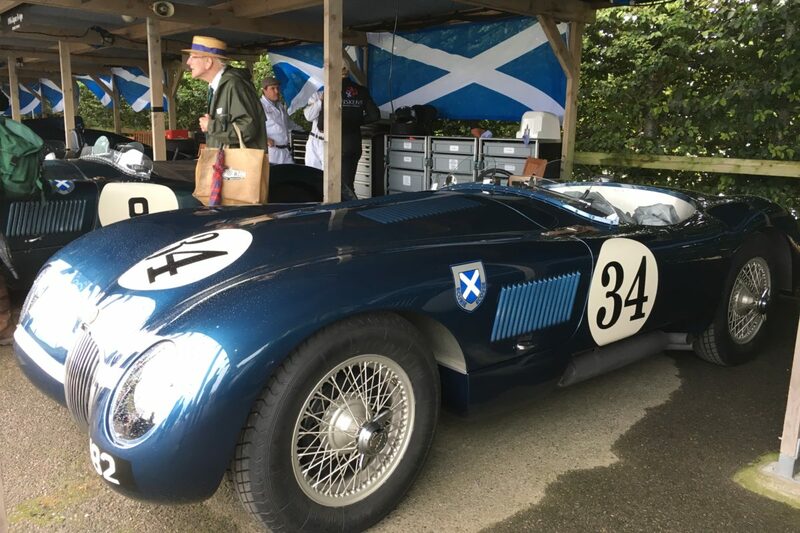 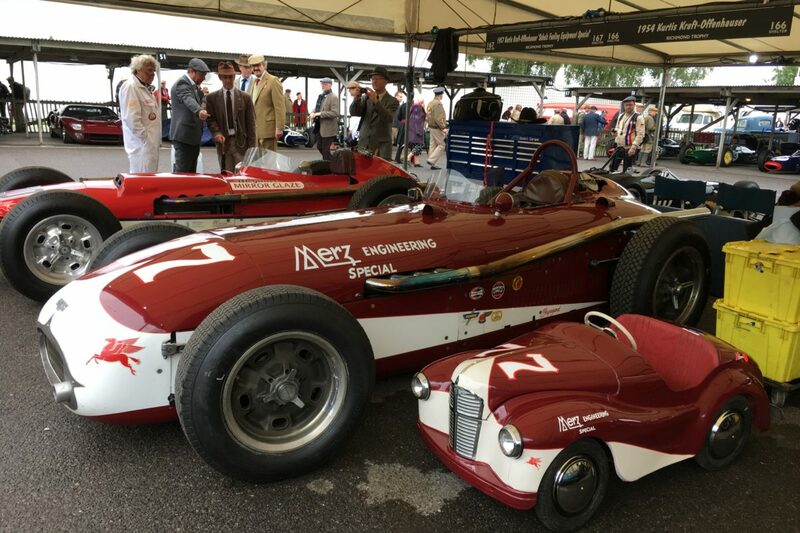 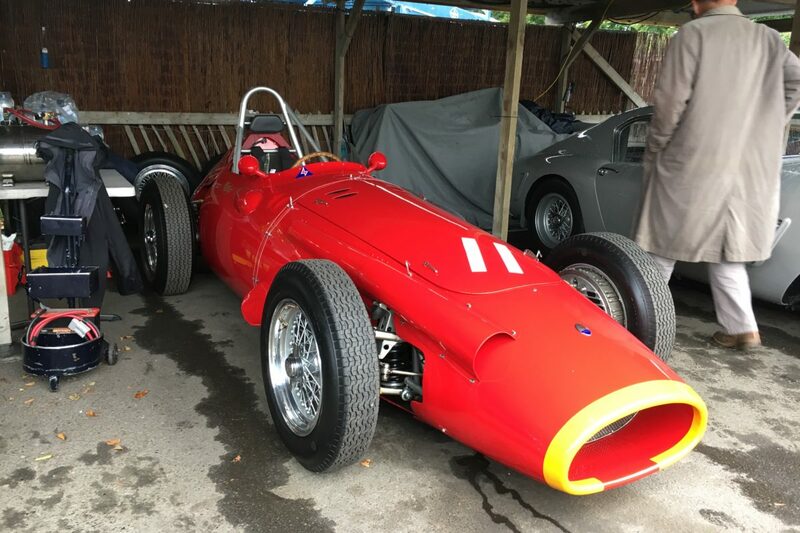 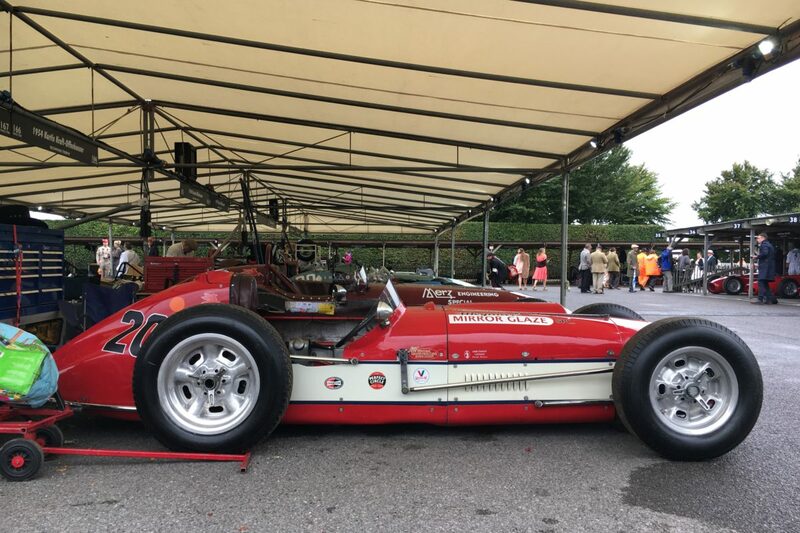 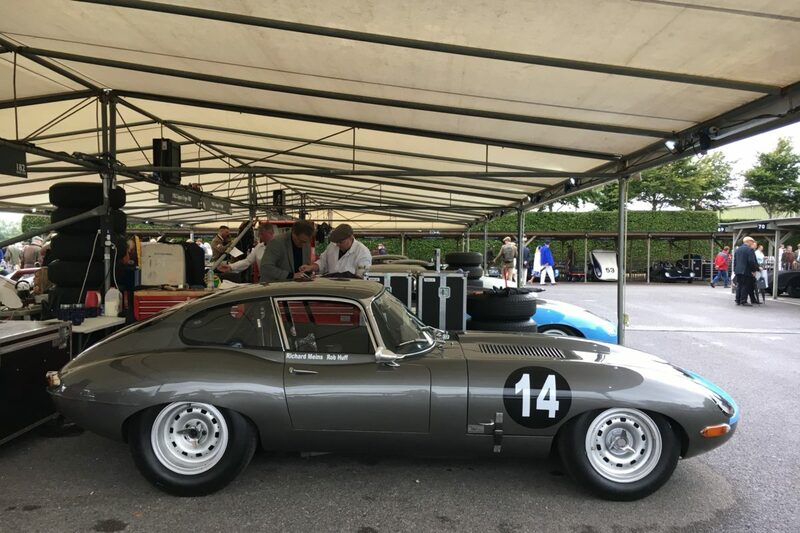 In addition to the familiar racing groups, the event this year celebrated the 1957 Grand Prix season and also celebrated the achievements of Ecurie Ecosse during the 1950s and 1960s. 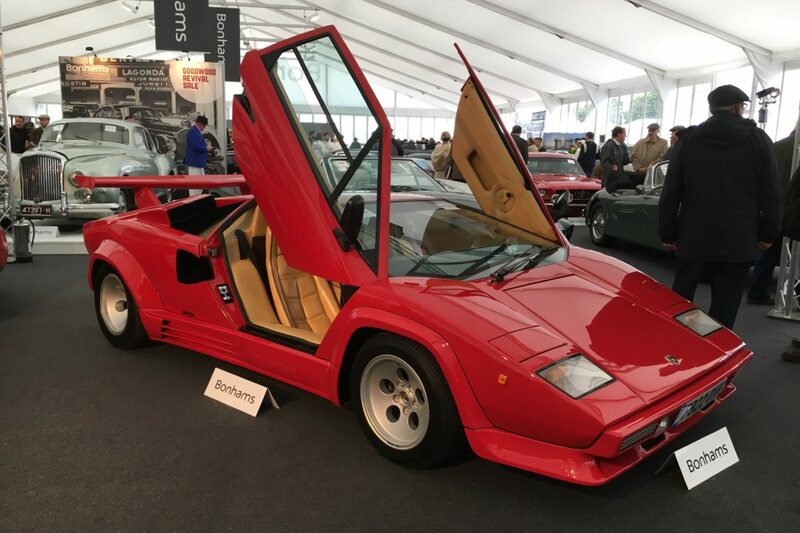 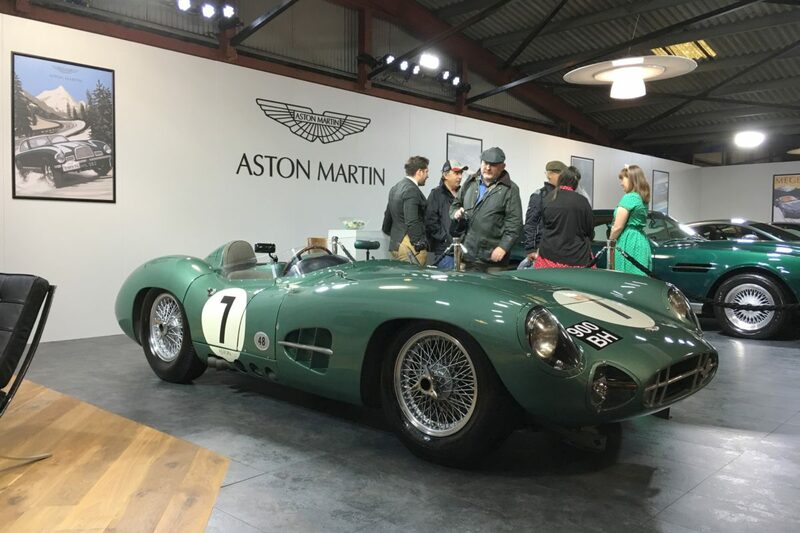 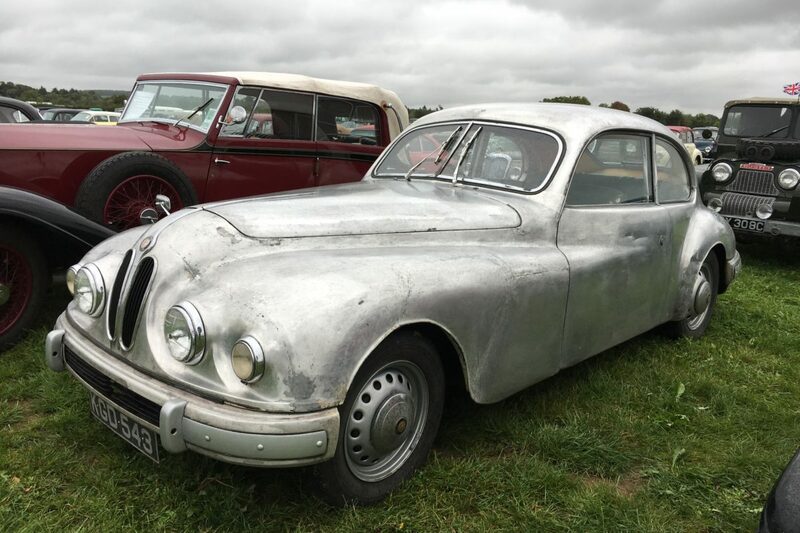 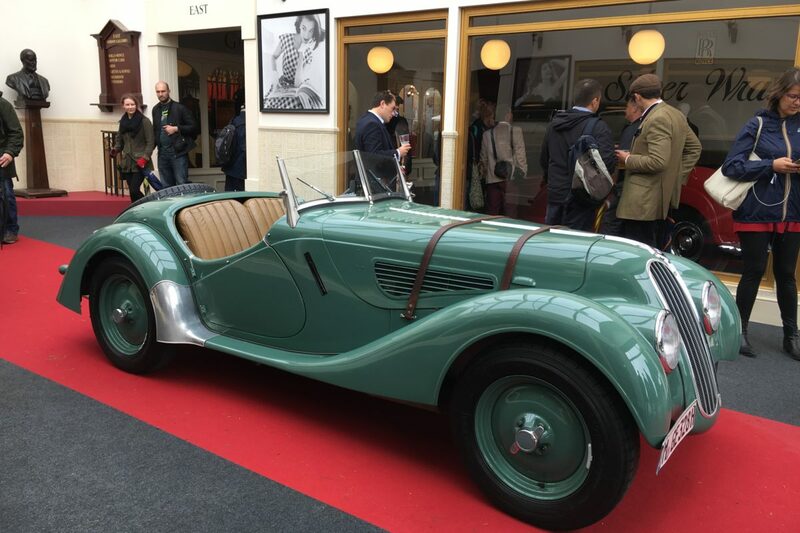 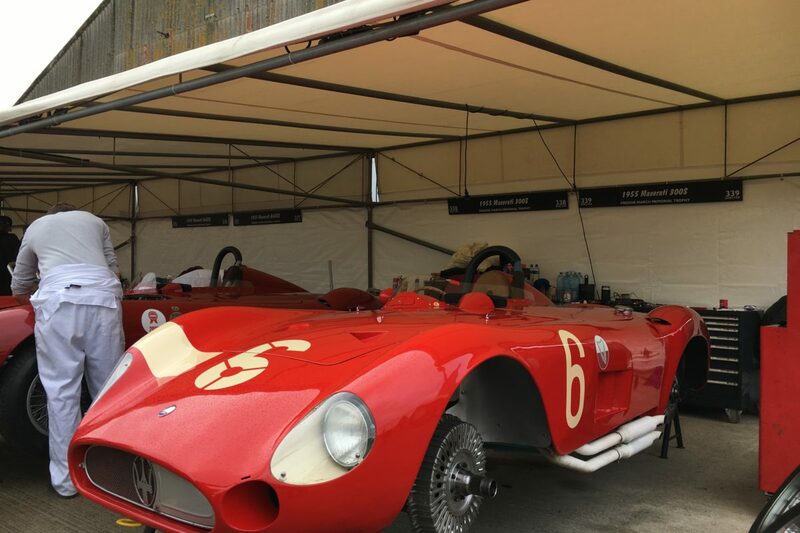 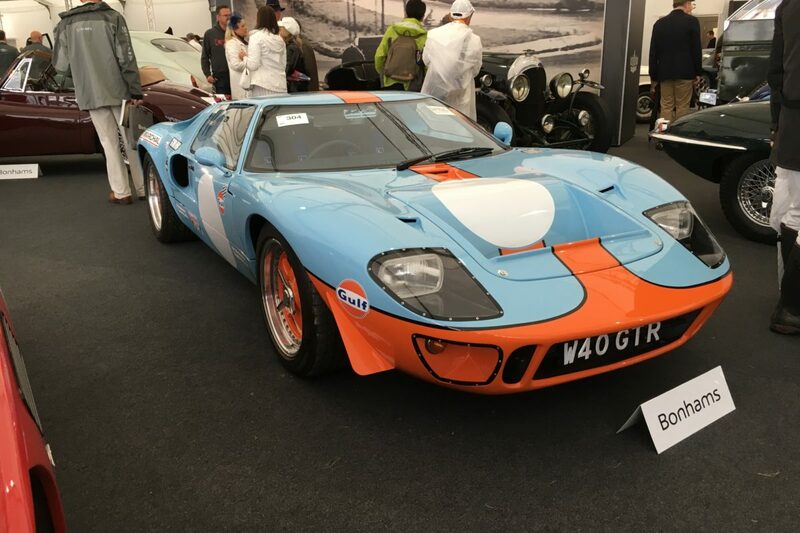 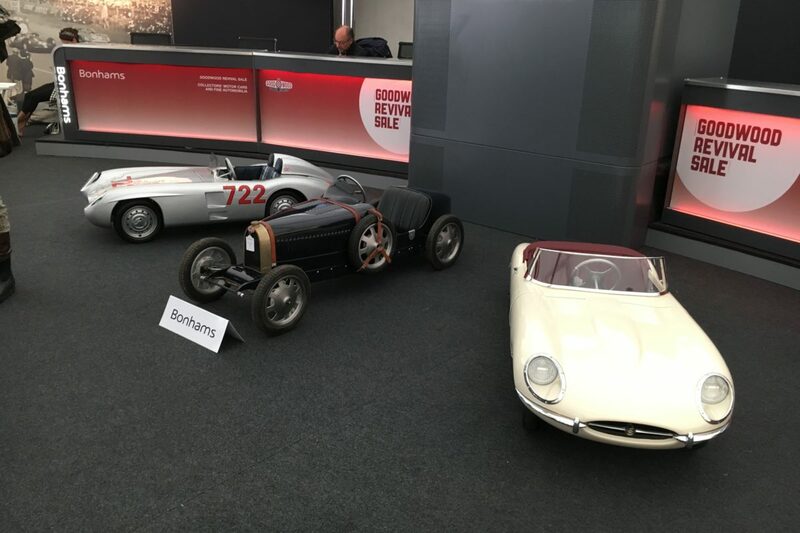 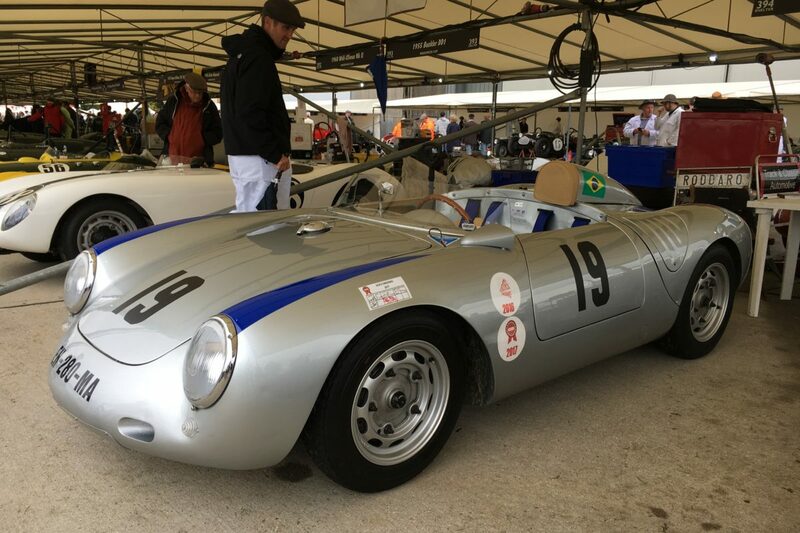 Auctioneer Bonhams also staged a sale on the Goodwood grounds on Saturday, headlined by the collection of the late Jack Sears. 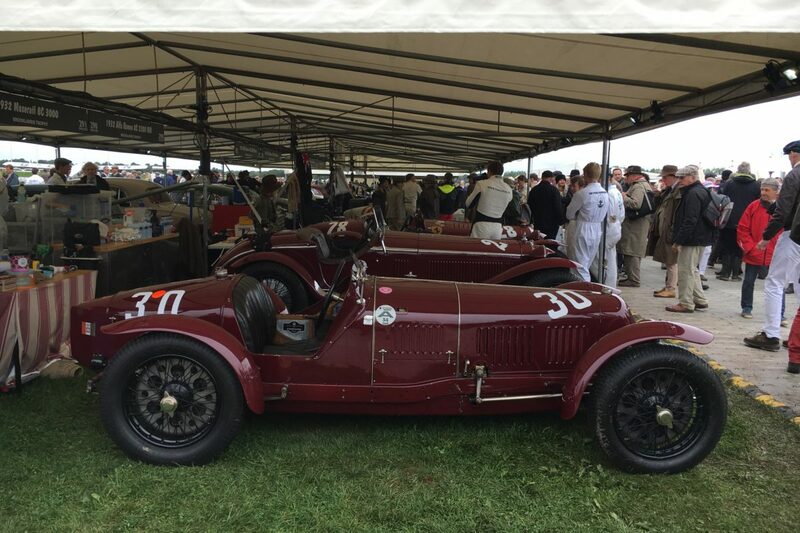 For me, whatever the weather, us British, we always make the best of it, and this years event was no different. 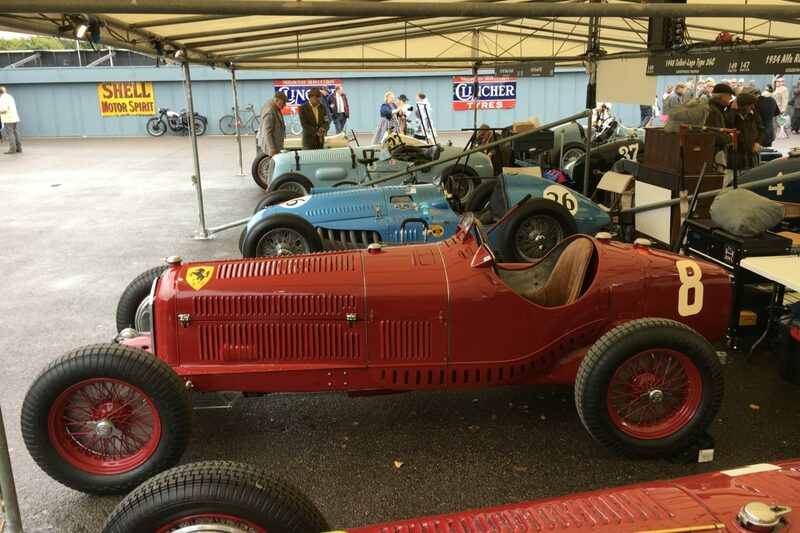 When the rain was heavy there were plenty of places to stay dry. 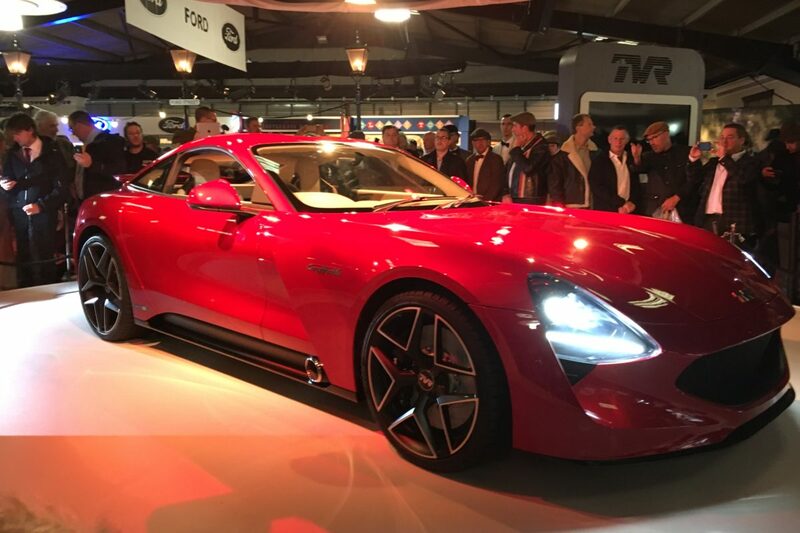 On the Friday when we attended we saw the unveiling of the new TVR (below). 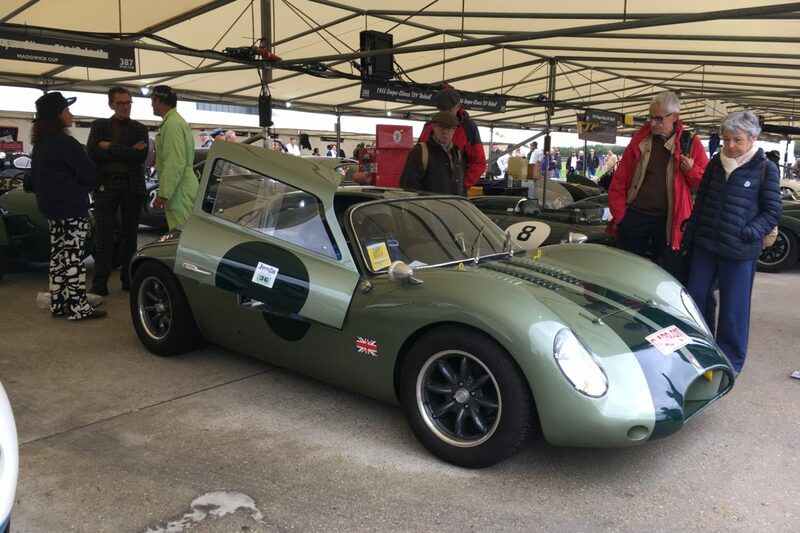 Glad to see TVR back, and it will be interesting to see how well this new car will do. 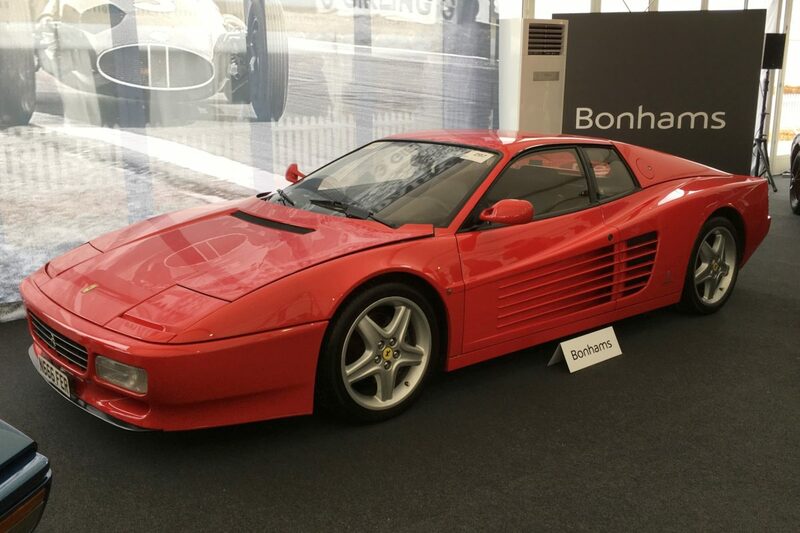 Short and sweet this time around. 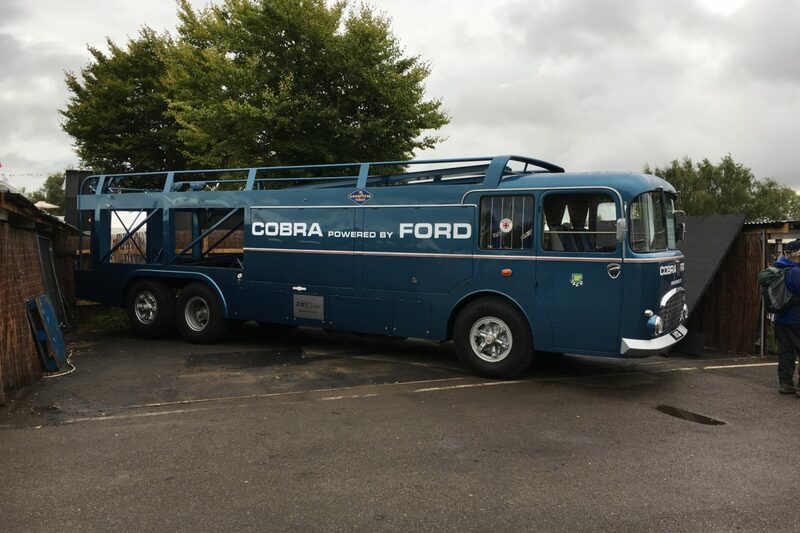 I’m looking forward to the following years event for sure. 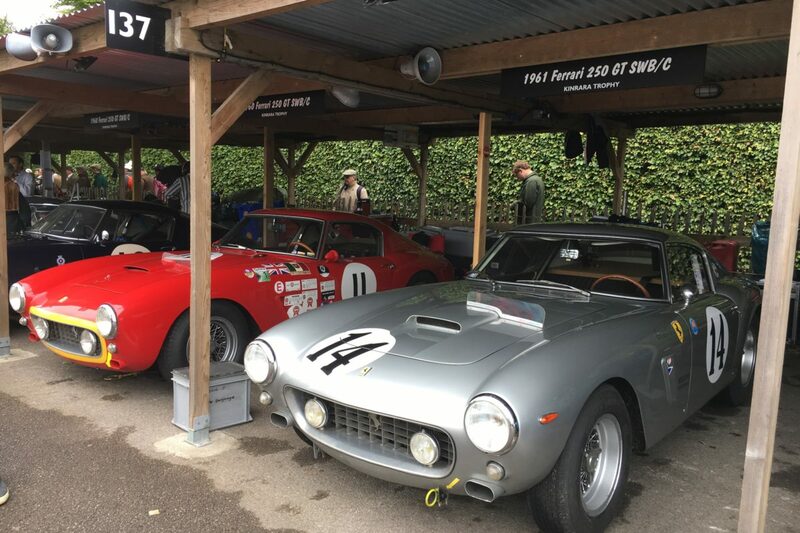 You can see all our photos from the 2017 Goodwood Revival here.